Leading Manufacturer of rayon fabric, composite fabric and plating fabric from Tiruppur. 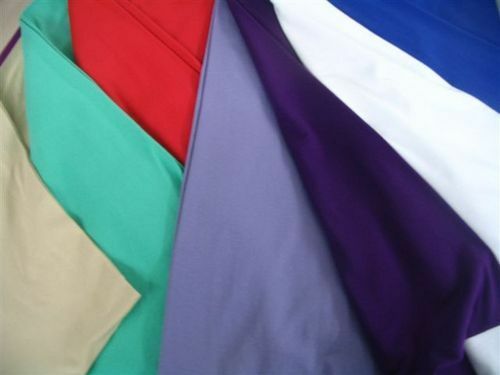 As a primename in the field of Rayon Fabric, our company has established its name very strongly in the market. These are developed by our highly dedicated and skilled workforce and available in finished and semi-finished variants. We offer this product at extremely feasible price and have managed to achieve customer satisfaction all throughout. We have Fabrics which made of various composition of fabric such as cotton with polyester, with modal, with viscose including spandex in different variations such as 40/60, 60/40, 50/50 and for spandex such as 95/5, 90/10, 97/3 etc. Our company has earned great laurels with Plating Fabric. These pieces of clothing are processed using an ultra-modern technology and come with an unmatched quality. Our team pays utmost attention to the defined industry standards and customer satisfaction by adhering to the guided protocols and norms. This one comes in the latest design and has got great degree of breathability. Looking for “Hosiery Knitted Fabrics”?